Rubber Room Ramblings: CLEARANCE RACK BLITZ GOING ON NOW! If you have ever visited the Stampin' Up! Clearance Rack, you know it is overflowing with great deals. AND Stampin' Up! has just added tons more items to the Clearance Rack. How to celebrate a sale? Well, Stampin' Up! is celebrating with a Clearance Rack Blitz going on now until October 18th, or while supplies last. I suggest you celebrate by scooping up tons of gread deals and saveing tons of money! All items in the Clearance Rack Sales Section are retired Stampin' Up! products. 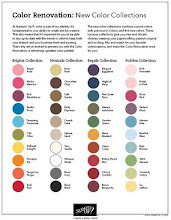 With the new color change that took place in June of this year, you are bound to find some retired ribbons, cardstock, inks, etc.... in those retired colors that you might NEED to coordinate with products you already have. There's no better time to save! 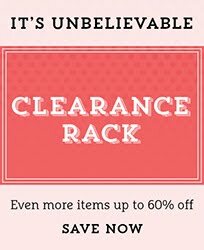 Click HERE and shop the Clearance Rack today! Be sure to name me as your demonstrator so you get the discount/preferred price and save even more!